E-commerce has expanded so much in such a short span of time that everybody is willing to learn the best practices in online retailing and today we will look into the 3 big trends in the e-commerce marketing strategy. Personalization is not a new topic in online marketing and all in all it means, delivering a personalized experience to the customer based on his behavior patterns online and while there is no defined formula for calculating the personalization all we know is that the trend is in very high demand for both the consumers and the brands. 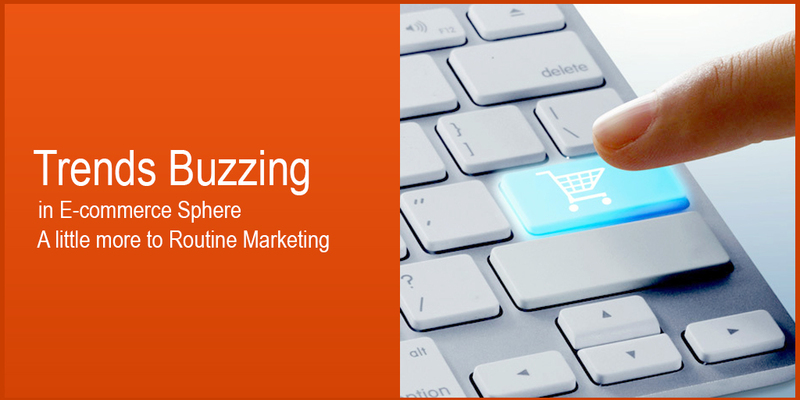 A recent study shows that around 62% of the online retailers are engaged in some form of personalization. The topic, however, is very broad and can mean anything in terms of marketing such from email content to website search results. In fact, every time the customer interacts with the brand is a unique opportunity to deliver the personalized experience. Not only every step, every interaction is an opportunity to personalize, there are also data points to look at which helps in deciding what experience needs to be personalized and delivered to the consumer. Today, personalization is prevailing online but is mostly limited to Facebook, newsfeed, Netflix recommendations, Amazon’s homepage, emails and advertisements. Personalization tested by the major UK travel app Secret Escapes resulted in the 210% increased purchase by the customers when the deals based on their previous search locations were shown to them. Companies who don’t have sufficient in-house resources to personalize the content like Amazon or Facebook employ other options to segment their audience and deliver the personalized content. Video content has become very popular in recent times to the retail world. One study shows that in 2014 64% of the global internet traffic is videos and the number is expected to rise by 69% by 2017. Like personalization approach videos can also be used in different ways to sell the stuff online some more effective than the others. Videos are used to increase the traffic as well as brand awareness. A study has confirmed that the detailed videos about the product beat the images when measuring the revenue per customer/visitor. One proof of the strategy is provided by the Dollar shave club who received the widespread attention because of the success of the 2012 marketing video which leads to 300,000 subscribers and 16mn views. User generated content is becoming exponentially popular in this world of crowdsourcing and the shared economy. As a matter of fact the user generated reviews and feedbacks are increasing by 140% year-over-year basis. When used effectively and strategically user generated content combined with the commerce can help the brand in creating the brand awareness, SEO and finally the conversions in a big way. Users today generally engage themselves with the user review and feedback potion of the product before they decide to buy that product. Such user generated content help other users/buyers in determining the quality and usability of the product and such users have the probability of buying the products 3 times more than other products who failed to generate the user content or does not have the user review portion. Is Magento the Best Fit for Small Businesses?